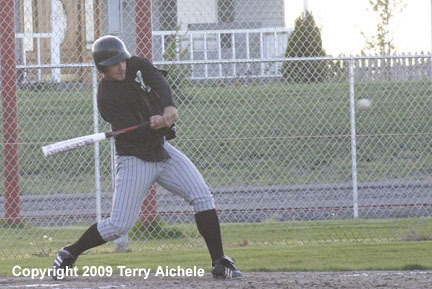 Irrigon had a big night of hitting in their 12-9 win over Pilot Rock on Tuesday. 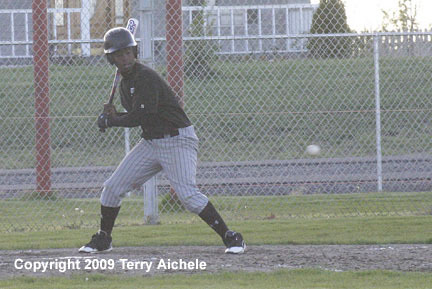 IRRIGON - The Irrigon Knights beat the Pilot Rock Rockets by a score of 12-9 on Tuesday May 5, 2009. 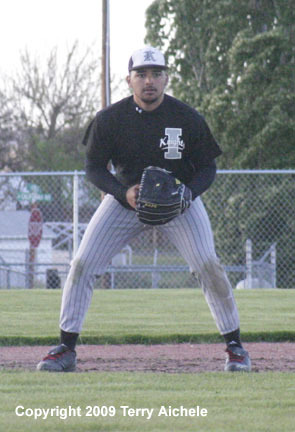 Jesus Munoz was the starting pitcher for Irrigon. Scott McDaniel came in a the reliever in the fourth inning. 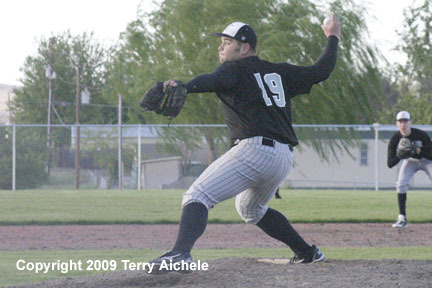 Overall the Irrigon pitchers struck out six Rockets. The third inning was a big one for Irrigon as they scored nine runs. Four of those runs came on grandslam by Dustin Osborne. Osborne went 4 for 4 for the game. Fans of the Knights were excited and spoke after the game on the importance of the first home league win this season. LEFT - Jesus Munoz was the starting pitcher for the Knights. RIGHT - Scott McDaniel came into the game in relief in the fourth inning.